This is an exciting time for electric car enthusiasts. From just a handful of choices only a few years ago, buyers in some states now have access to as many as a dozen different plug-in vehicles. It's set to get even better--over the course of the next few years, another six electric vehicles are on the way. Here's our full run-down of the most important plug-in vehicles debuting over the next year. The 2014 BMW i3 electric car isn't just important, it's exciting too--and it's nice to be able to say that about a new electric car. 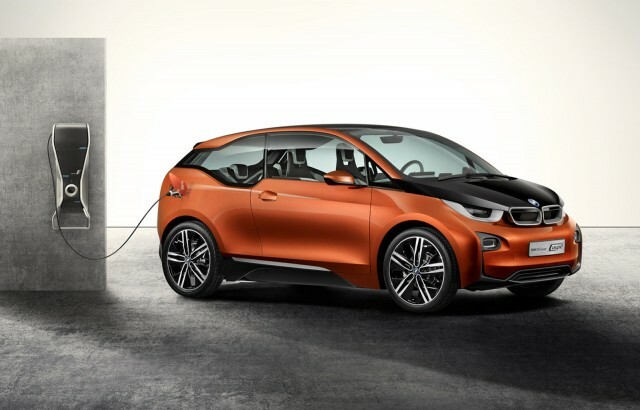 BMW has explored electric vehicles before with thorough testing programs--significantly, the MINI E and BMW ActiveE electric vehicles--and that knowledge is helping develop the i3, a compact car based on a dedicated platform. A range-extended model will also be available, to quell those with range anxiety. It's high-tech too, with a carbon-fiber reinforced plastic (CFRP) unibody, and the i3's minimalist innards are trimmed in sustainable materials. It's all very futuristic, yet as tasteful and considered as any internally-combusting BMW. Back when Chevy launched the Volt range-extended electric car, it promised the Voltec powertrain would appear in other vehicles. Well, this is the first "other vehicle" it's appearing in--the 2014 Cadillac ELR. Behind the sharp-suited Cadillac styling is a thoroughly modern drivetrain, utilizing the same 1.4-liter gasoline engine as the Volt, and a similar electric drivetrain. We say "similar" because to suit the Caddy's upmarket status, ELR drivers do get a little more power and torque than their Volt counterparts. 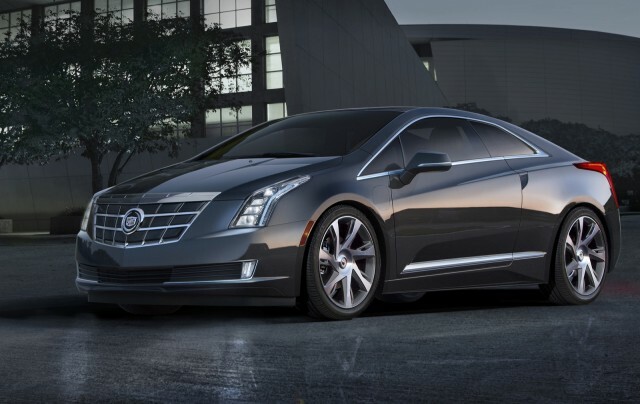 They also get two fewer doors, turning the ELR into a sleek and distinctive coupe. Electric range stays the same though, at around 35 miles. Deliveries should begin early 2014. Initially, we suspected the Chevy Spark EV to be one of the small but growing range of "compliance cars"--electric vehicles designed and built solely to meet California's requirements for electric vehicle sales. 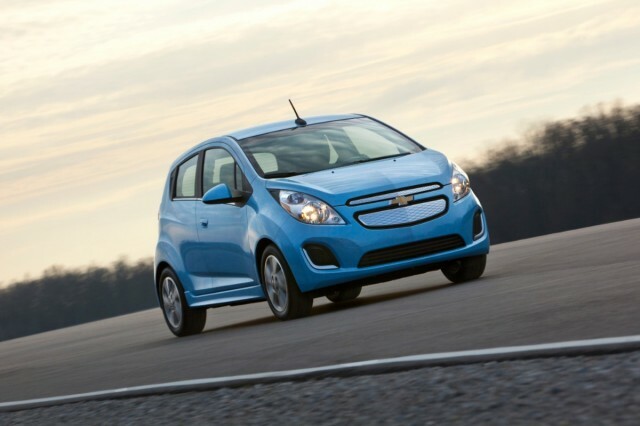 Thankfully, that isn't the case--Chevrolet is actually rather serious about the Spark EV, and as well as making it available beyond just west coast markets, they've thoroughly re-engineered the gasoline Spark for its new electric powertrain. The styling differences are subtle--some blue paint here, a Volt-style grille there--but under the skin it's a real wolf in sheep's clothing. A 110 kW (130 horsepower) electric motor gives it far more shove than the gasoline model, and its 400 pounds-feet torque output matches that of a Ferrari 458 Italia supercar. The Spark EV will go on sale in several U.S. markets, as well as Canada, South Korea and Europe. U.S. pricing starts at under $32,500, pre-incentives. 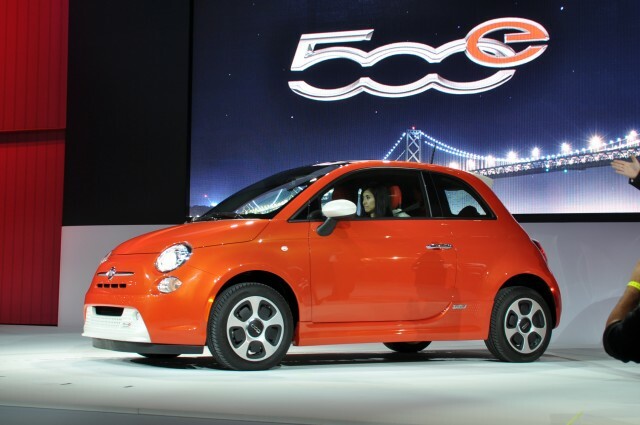 At 108 MPGe highway, Fiat's 2013 500e electric car is the most efficient highway vehicle on sale in the U.S. It also manages an official 87 miles of range, greater than that of other similarly-sized electric cars and more even than some larger models. While the 500's retro looks will always be an acquired taste, it's one of the more visually interesting electric cars on sale too. Not just thanks to its eye-searing orange paintwork, but also for the aerodynamic wheels, large white front grille and other white detailing. Inside there's plenty of white and orange trim too, while the usual 500 dual-layer instrument dials are replaced by a TFT screen showing car data. A four-button console occupies the space you'd usually find a gear shifter. Like the BMW i3, customers will also get the use of a free loaner vehicle for longer journeys. It's just a pity then that, despite all the effort Fiat and Chrysler have put into the 500e, that this one will remain a compliance car--so good luck getting your hands on one outside of California. Mitsubishi is in the doldrums in the U.S. market, with low sales and a range of vehicles that do little to capture the imagination. 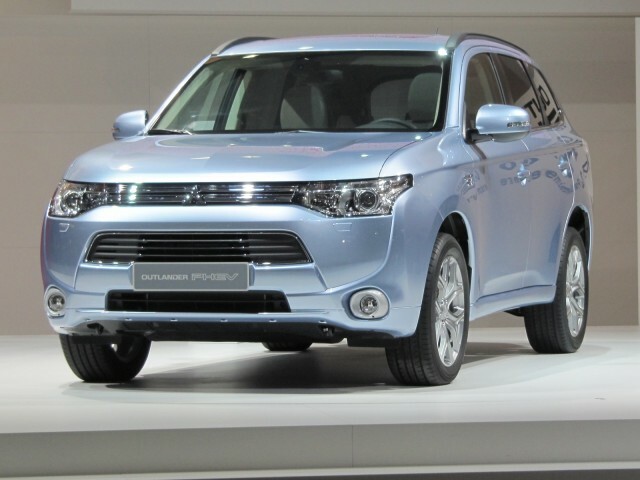 Perhaps the Outlander Plug-In Hybrid will change that, with more modern looks and a significantly greener powertrain than previous Outlanders. Under the hood there's a 2.0-liter gasoline engine, but twin 60-kilowatt electric motors--one for each axle--provide a healthy 245 pounds-feet of torque in electric-only mode. Electric range in EPA testing is unconfirmed, but based on the Japanese 35-mile estimate, we're expecting a more realistic 20-25 mile range. Once that's depleted, you still have the engine providing backup power--though the Outlander can operate in series or parallel hybrid modes too. 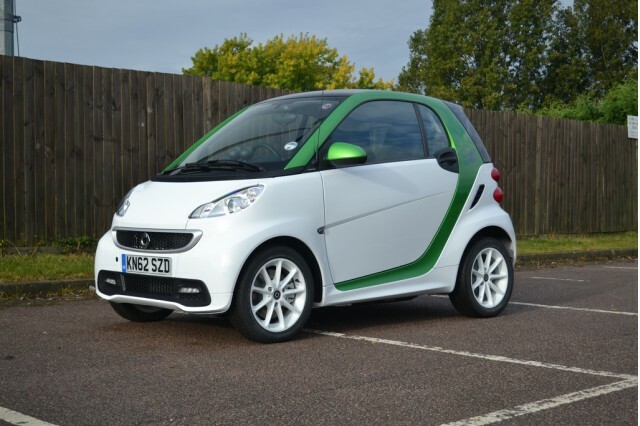 Soonest to appear of all the electric vehicles above is the 2013 Smart Fortwo Electric Drive. It may look like any other Fortwo, but this is now the third generation of the company's diminutive electric car and happily, it's also the best. It's a large step up from previous models with far better performance, a smoother drive and greater potential range. It's also the cheapest electric car on sale in the U.S, starting at $25,750 before incentives. For those able to claim the full $7,500 Federal tax credit and California's $2,500 purchase rebate, you're looking at a brand-new, $15,750 electric car. Top speed is 78 mph and it'll do 60 mph in under 12 seconds, so drivers won't feel too out of depth on the highway. The Electric Drive's biggest success though is how much better (and quicker) it is than the jerky gasoline version--proof that some vehicles are just meant to be electric. 2014 BMW i3 Electric Car Price: How Much Will It Cost?